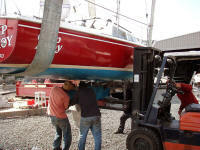 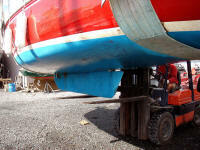 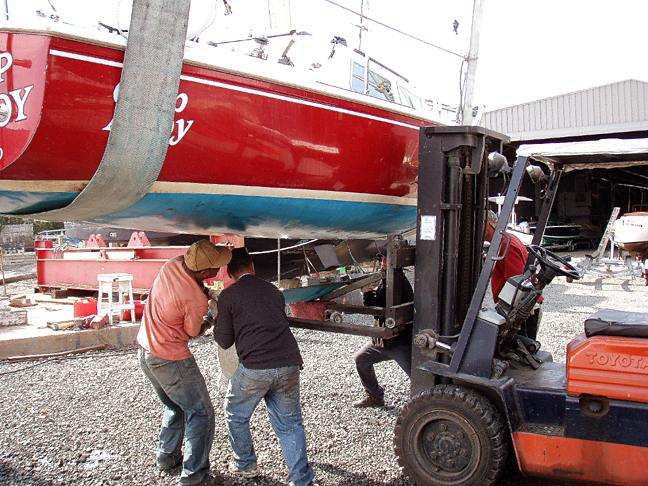 With a fork-lift truck beneath, the crew had the keel off in 10-15 minutes -- the way to do it! 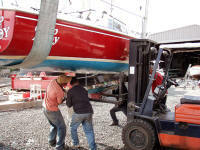 Then the four of them just picked it up off the forks and carried it off to the side, out of the way. 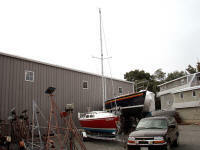 There, Tommy the yard manager and I inspected it. Chip Ahoy's fully-restored-in-2004 keel was a mess: The pivot hole in the keel was shot, expanded and elongated. 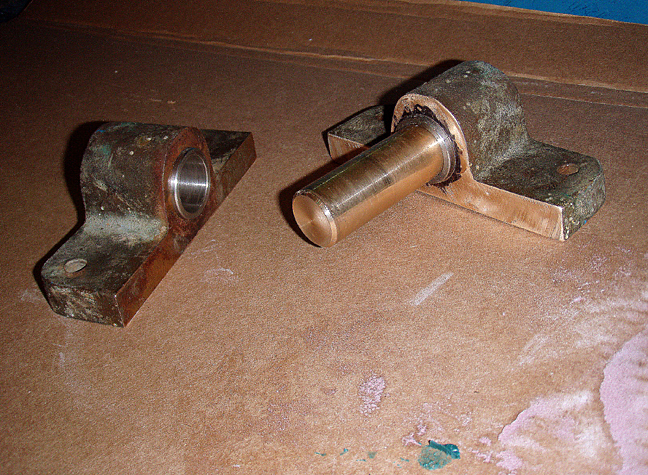 The brass keel pin, installed new along with the bronze keel hangers and keel spacers only late last July, appear to be still in good condition. 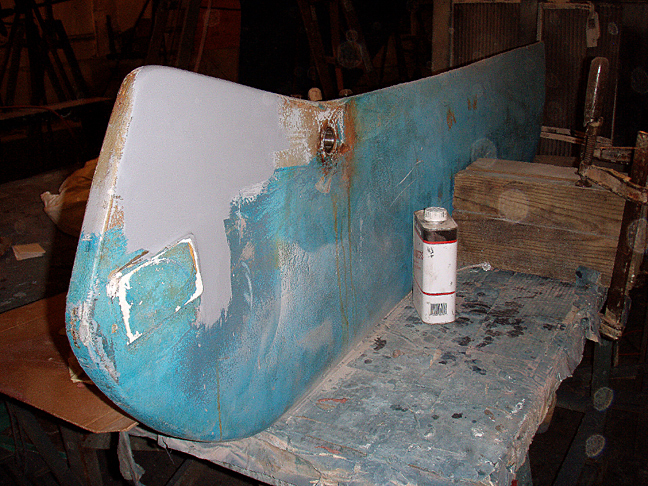 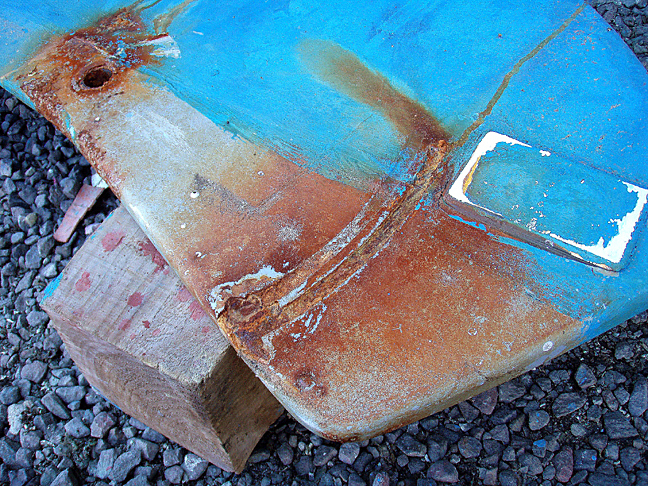 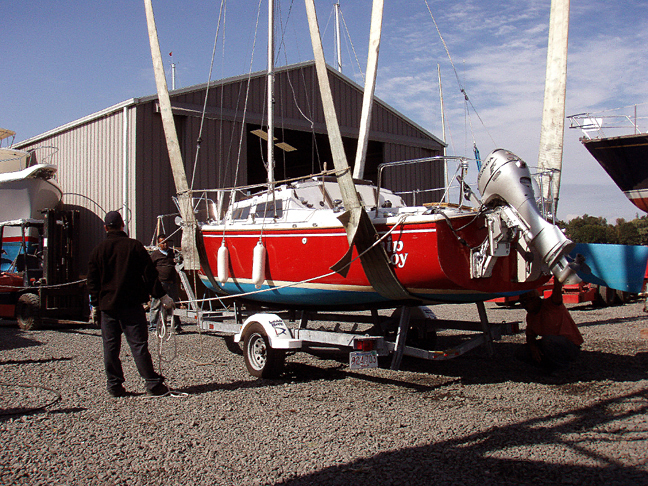 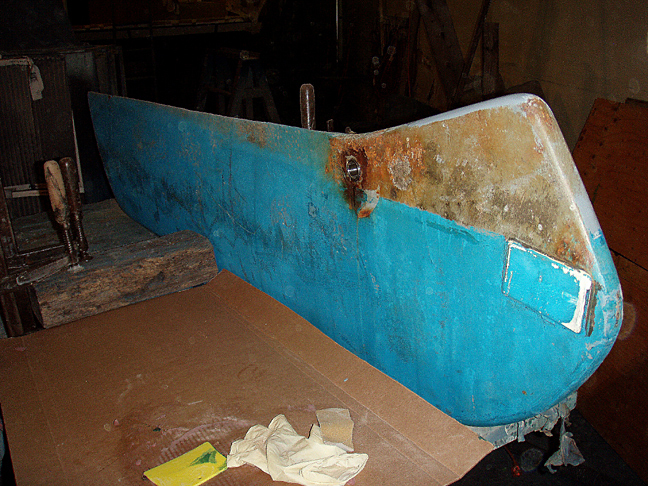 The restored-in-2004 keel is looking tired already. What's most incredible is that Chip Ahoy is only in the water for some four months a year, five at the very most and not often -- a total of maybe 12-13 cumulative months since the $2,000 keel restoration project the boatyard did over the winter of 2003-04. 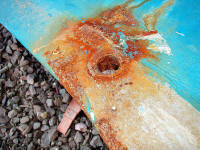 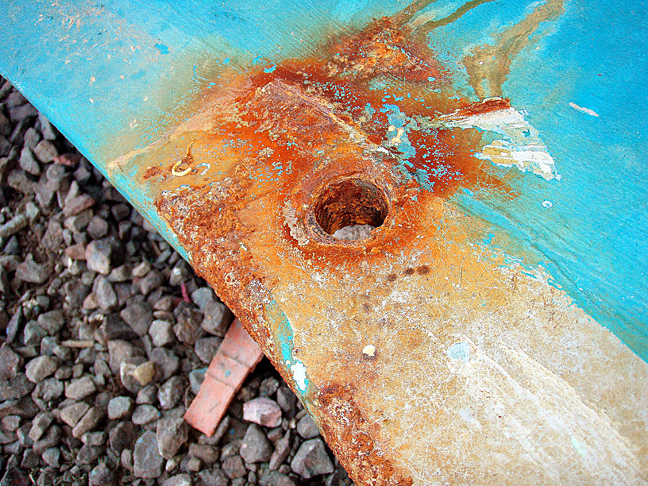 Rust and corrosion have already taken a toll, after only four seasons. 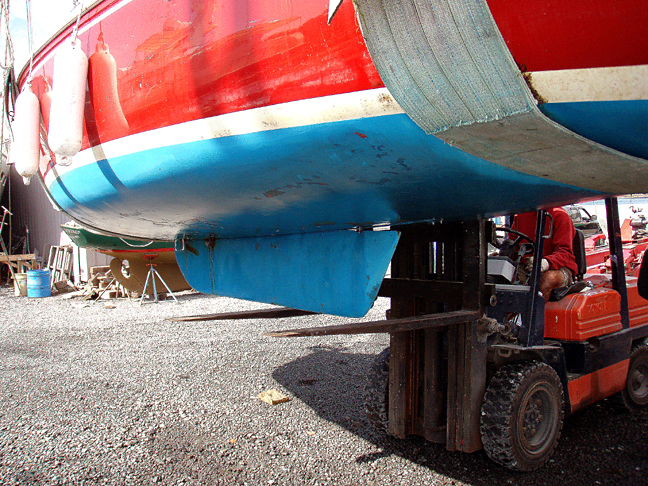 Tommy the yard manager plans to have the hole bored out to a slightly larger diameter then press in a stainless steel sleeve, followed by inserting a smaller delron bushing. 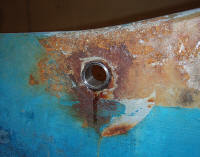 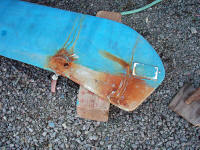 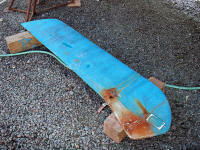 He wants to replace the brass keel pin with a stainless steel one. 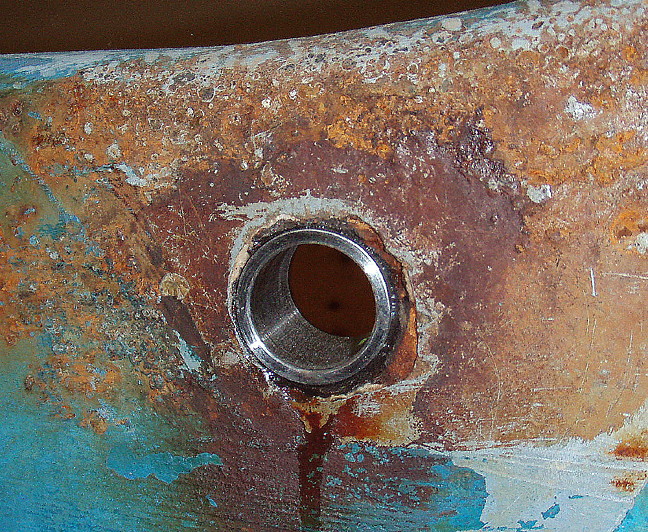 He's still thinking about the best solution to either prevent this from happening so frequently, or make frequent repairs easier and less expensive -- with "sacrificial" parts. 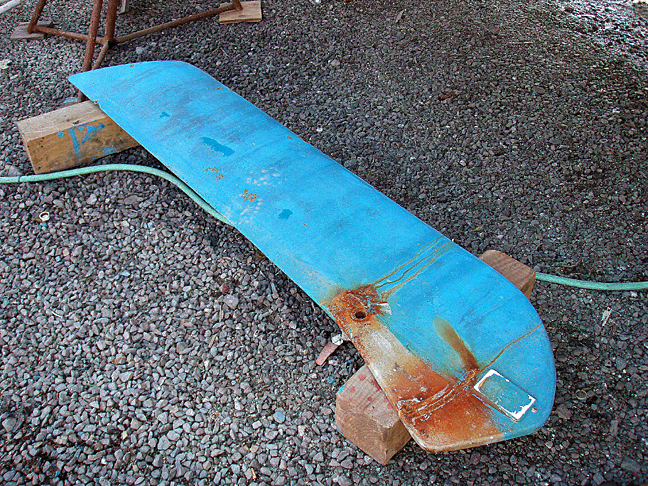 Along with replacing the bushing and pin, he's refinishing the keel itself.